Welcome to Rocky Ridge Ranch where you’ll have the ride of your life. Trail Rides, Pony Rides, Wagon Rides, Sleigh Rides. 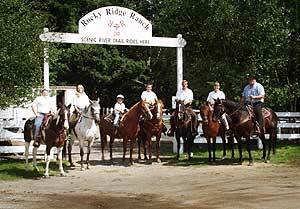 Welcome to Rocky Ridge Ranch where you’ll have the ride of your life. No matter what the season is your experience here will be unforgettable. Nestled in the beautiful White Mountains of New Hampshire Danielle and Rick Tuck will be your friendly host. 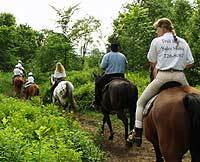 Their well trained horses will take you on an incredible ride where your senses will come alive. You’ll experience the unique sounds and sights of the mountains as well as the majestic Mad River. Whether you are a beginner rider who is looking for a leisurely ride through the woods and by the river, or you’re an experience rider that enjoys a bit more of a challenge, we absolutely have the ride you’ve been waiting for. If riding in a saddle is not your thing, Rocky Ridge Ranch offers picturesque old fashion covered wagon rides. Two gallant Belgian Draft horses will draw you through the woods during the fall foliage. Here you can witness the splendor of mother natures colorful pallet. When the leaves have covered the ground, the snow begins to fall, and the crisp winter air begins to fill our lungs, the fun continues at RRR. Once you’re seated upon our two horse sleigh you’re whisked back in time, as you glide over the freshly fallen snow. While sipping on hot chocolate and covered by a warm blanket you‘ll meander through the snow covered trails. To the left of the barn you’ll notice an enticing skating rink. For those of you who like to grace the ice, lace up those skates and go. If you don’t have your own skates we have a wide variety of rentals. Our friendly horses that guide you in the summer months will continue this venture throughout the year. Experience the sounds of a horses hooves crunching through the fallen snow. As you view the snow capped mountains upon your horses back, it’s a memory that will be etched in time forever. If you’re really captivated by the beauty and companionship of horses, RRR provides an exceptional selection of quality sales horses. 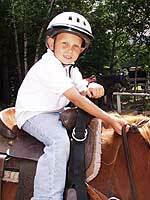 If you need more assistance on your purchase we are happy to provide basic horsemanship instruction.